There's nothing more uncomfortable this time of year than dry skin - especially on my hands. I'm constantly washing my hands so I need something super nourishing to give intense moisturization. 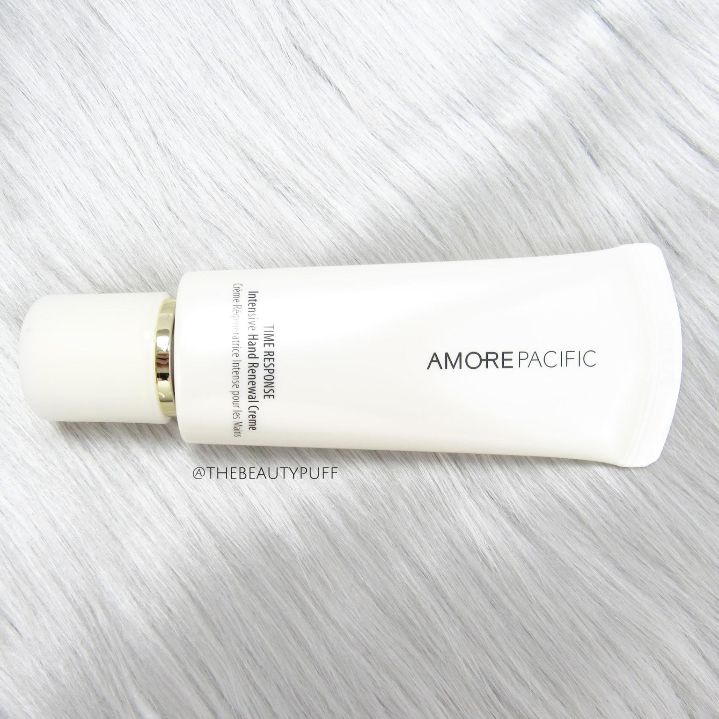 The Amore Pacific Hand Creme is formulated with green tea to not only hydrate, but also address signs of aging. It's perfect for your purse or giving as a gift this holiday season. Style | The Amore Pacific Time Response Intensive Renewal Creme comes in a pack of three one-ounce tubes so you can have them handy for on-the-go, or give them as separate gifts. Stocking stuffers anyone? Formula | This ultra silky formula instantly absorbs into the skin without leaving any residue. I can get right back to daily tasks which is great! Over time, this hand cream also helps to reduce signs of aging. It improves moisture, tone and density for silky smooth, youthful skin. I never thought of incorporating anti-aging into my hand lotions so I love this idea! I also like that it has a very light, fresh scent that isn't too noticeable. It won't compete with any fragrance you're wearing and will appeal to anyone looking for noticeably smoother hands this season. Amore Pacific Skincare makes the perfect luxurious gift for beauty lovers on your list. Shop the Amore Pacific website below and enjoy free shipping!